Whether you are an existing property owner, first time buyer or portfolio builder Lifestyle Brokers will show you the most cost efficient and flexible way to finance your mortgage. Savings and pensions do not have the same earnings potential as they used to so an increasing number of people are using their assets to purchase properties to rent out. Lifestyle offer a wide range of Buy to Let (BTL) mortgage options to choose from, which are available for house purchases, or for remortgaging from another lender. A buy to let mortgage is a loan you can take out to buy a property that you intend to rent out to tenants. The amount you can borrow is linked to the rental income the property could earn. Before you enter the market you should be an experienced house buyer and have fully researched investment properties. Find out more about the benefits of a Buy to Let Mortgage. For details contact Lifestyle Brokers now. This is the most popular mortgage type and the most widely available mortgage repayment option. With a repayment mortgage you make monthly repayments for an agreed term until you have repaid both the capital and the interest. This means that your mortgage balance will get smaller every month and, as long as you keep up the repayments, your mortgage will be repaid at the end of the term. When you start your mortgage, the repayments will mainly be interest, so if you want to repay the mortgage or move house in the early years, you'll find that the amount you owe won't have gone down by much. You must also then decide the type of repayment mortgage you want, whether it’s to have the interest rate fixed over time, or variable, which means the interest rate can go up or down. Find out more about the benefits of a Repayment Mortgage. 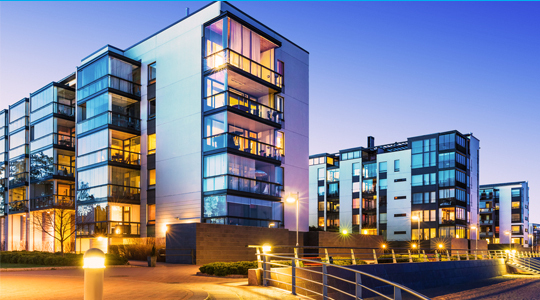 For residential properties which are zoned commercial buildings we are able to assist with commercial loans in Hong Kong and some other jurisdictions. A commercial remortgage can be an excellent way to release equity in your business for other investments and purchases. A new commercial remortgage deal often results in lower interest rates and smaller monthly repayments, freeing up cash for other aspects of your operations. Find out more about the benefits of Commercial Mortgage. If you are looking for additional funding, an Equity Release Mortgage can provide you with an opportunity to release equity in your property at lower interest rates. The equity in your property is the difference between any current outstanding mortgage and the actual value of the property. An Equity Release Mortgage unlocks some of your property's value without you having to sell it and can be used for many purposes. Find out more about the benefits of an Equity Release Mortgage. While interest rates are at a historical low it is possible to lock in to a fixed interest rate for 2 -5 years. With global inflation already rising it can make sense to obtain a fixed rate to provide security that if interest rates go up your rate will remain the same. Find out about the benefits of a Fixed Interest Rate Mortgage. Under the scheme, the Hong Kong Mortgage Corporation will provide a guarantee to the banks on the portion of the loan that is over the 50% or 70% combined loan-to-value ("LTV") threshold and up to 90%, i.e. “covered amount”. If the flat continues to be owner-occupied after drawdown of the loan, the covered amount will start from 70% combined LTV threshold. If the flat is not to be owner-occupied, the covered amount will then start from 50% combined LTV threshold. Find out more about the benefits of the Hong Kong Mortgage Guarantee Scheme. An interest only mortgage allows you to take ownership of a property whilst repaying only the interest. For this reason, your monthly repayments will be lower, but the debt owed against the property will not reduce. There are a number of reasons why this may be the most suitable option but borrowers must remember that the loan will need to be paid off in full at the end of the term, and an interest only mortgage should therefore only be considered as part of a wider financial plan. Find out more about the benefits of an Interest Only Mortgage. ICM allows you to finance your property and take advantage of borrowing in currencies other than the base currency where the property is located, which allows you to benefit from interest rates as low as 2%. Lifestyle offer a highly innovative and flexible international mortgage service, through some of the world’s leading financial institutions to help clients reduce their monthly costs when buying a property. Our service is specifically tailored to meet the needs of individuals buying or refinancing properties outside their country of residence, offering a multi-currency, multi-jurisdictional loan facility for residential properties in Australia, Canada, France, Hong Kong, Hong Kong, Japan, Malaysia, New Zealand, Singapore, Thailand, United Kingdom & USA. Find out more about the benefits of an International Currency Mortgage. Do you want to cut mortgage costs on your current property? Residential Properties can be financed in a range of currencies and locations from Australia, Canada, France, Hong Kong, Japan, Malaysia, New Zealand, Singapore, Thailand & United Kingdom as well as locations in USA. Loans can be cross-collateralized by using property in most of the above locations with interest rates as low as 2%. Find out about the benefits of a Refinancing Mortgage. Find out about the benefits of Alternative finance.